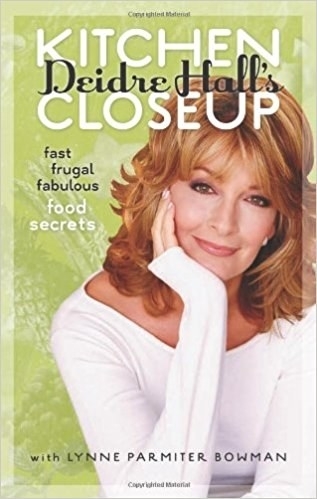 BuzzFeed recently had the opportunity to sit down for a cozy dressing-room chat with legendary Days of Our Lives actor Deidre Hall to ask her questions submitted by you, the fans. Here's what she had to say. DH: I was going to say moments on location, because that is such an intense process. We’ve been to Mexico, we’ve been out to Malibu to the beach to do those scenes, and your focus is so intensified. "We’re burning daylight" — you know, you don’t hear that here. "We’re running down the clock," sure, but, get in, get out, get it good — so many things are swimming around. "Are the mics in place? ", "Is there any light? ", "Dee’s in a bathing suit; everybody be careful!" [laughs]. It’s a heightened way to work and I love being on location. I love being out in the air — [it’s] especially fun to have fans standing around getting to see how that process works. DH: My skin care... You know, the two things I am ferocious about and I will say to any young girl is "STAY OUT OF THE SUN." I was raised in Florida; I didn’t have that advantage. When I was growing up in swimming classes and diving classes, we didn’t know about sunscreen — it wasn’t around. So, my skin’s struggle is sun damage that was done so many years ago. So my advice is — and I rarely give advice, but here it is — stay out of the sun. Wear a hat, wear sunscreen — not just on your face and neck and chest, but on your hands. DH: Oh. Phffft. That’s so obvious. 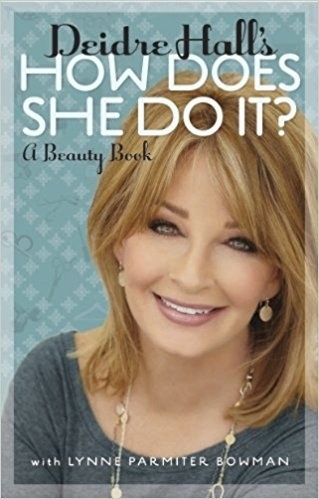 I said that’ll be on my tombstone: "Deidre Hall. Possession." Jim Reilly wrote that and it was one of his earlier storylines and I was called upstairs before the Christmas break to be told, “Oh, all this crazy stuff that’s happening in Salem? It’s you.” “It’s me? How could it be me?” And then they explained how they worked that. He laid such a good plan of how to tell a story and how to have it unfold before your eyes and you go “Whoa! Eesh! I didn’t see that coming.” So it was thrilling, and he said "Do you have any questions?" and I said I just need to make sure that it’s done well, because I don’t want it to be hokey or silly or unbelievable. And they did. The levitation was real, by the way. DH: I signed a contract not to tell you. But it was a real stunt, it’s a magic stunt and they cleared the stage. The people that had to build the parts to it had to come in and they had to bring in a whole...it was an incredible investment to make that moment work. And it did. Not to mention it’s Christmas Eve and everybody’s in church and it’s cold and the snow... I mean, it was such a moment. And as the choir builds to a crescendo, BOOM, she’s off the bed and people went out of their minds. DH: You know, we didn’t have a personal relationship. I worked with him, obviously. We were not friends off camera. I knew his wife fairly well because she was our publicity director for a long time. Love Pat. He was one of a kind. He was ... old-school, larger than life off and on camera. And he was a force. DH: Oh my gosh. Inside me is a manners book. I’m pretty fierce about manners and grammar and appropriateness — [sarcastically] it’s going so well these days — that I just have a fantasy about writing almost a handbook: "In these situations, here’s how you handle it." DH: I’m a toffee lover — but then people know that about me. I must say that I am locked to the news recently, and I’m not especially a news junkie, but all that’s going on in the government has me riveted. The testimony ... it’s about manners. Are you being appropriate in government? Are you all, that we have sent into these positions to represent us and to keep the world safe, are you doing that? Are you behaving properly? Because it’s looking kinda dicey right now. DH: I never had that and I will openly grouse and complain about that. There were three that were made, that were created, and when we wrapped the show after you know, those 10 minutes, I said “I’d like one of the costumes” and it didn’t happen. Sid and Marty Croft: Really? 'Cause you need three for...something else? He had not done television and I don’t think it was his favorite thing — it’s not like filmmaking as we all know. And at one point, because he’s hearty, we had come onstage and it was so cold, it was so cold, and we had to be in the kitchen playing a summertime scene. And we all came in and the kids were in robes and sweats and shivering. And Wilford looked up and said, “What’s the matter with you all?” “We’re cold!” said the kids, “We’re cold!” And he said, “Well, why don’t you go back to your trailer until we get it warmed up?” I was not a part of this conversation, although I was privy to it, but these were three kids that had been on plenty of stages and went “Ooh. What? I don’t even know if...huh?” He said, “Go on, get back to your room. I’ll tell you when to come out.” And production was stopped until they brought in huge gas heaters, which meant the fire department had to be there onstage the whole time, and until he brought those kids out and it was warm enough for them, production stopped. A hero. You know, he knew he was powerful, he knew he was influential and in that moment, you know...don’t mess with my kids. And that was a Wilford moment. DH: The thing about characters is that we like them when they surprise us. And so, to my way of thinking, we get a new writer who says, “Oh, I think I’ll take her down this road” — hence Jim Reilly and the possession! Oh my gosh, and it was one of the most notable things that’s happened on the show. I love firsts because we’re always testing the audience. We did the first gay wedding, we did the first crib death — I mean we’ve done a number of firsts on this show. And I think it’s our privilege and our responsibility to educate as well as entertain.